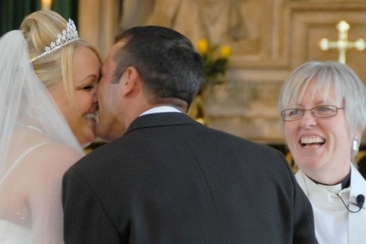 Every bride wants to feel beautiful and special on her wedding day. 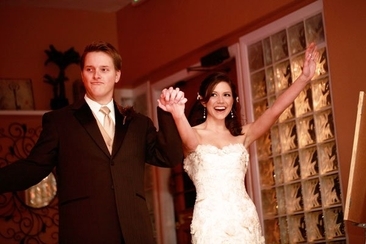 There is no better way to do this than to wear a gown that makes her feel confident and attractive. 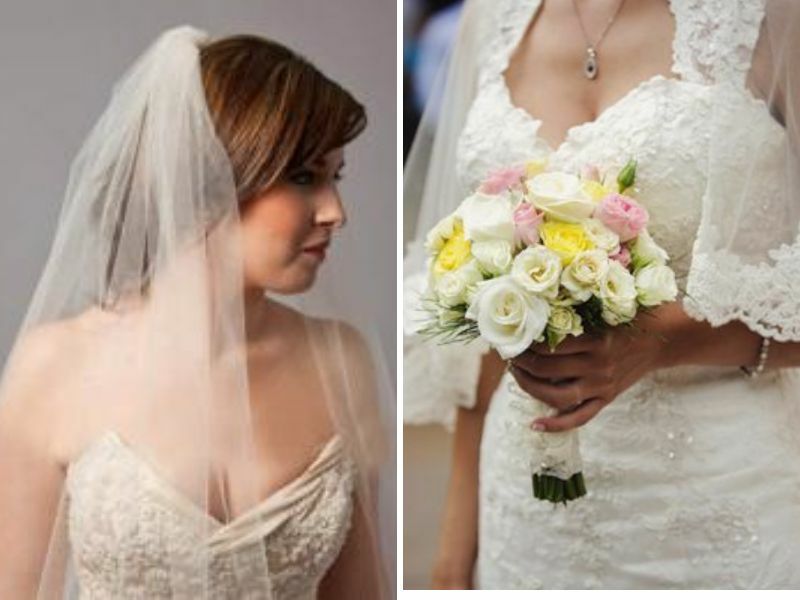 With this in mind, everyone has that part of the body we don’t feel so confident about; for some brides, that is fat arms. This needs not be a problem because there are several wedding dresses for fat arms that can help you either hide your arms and still look beautiful; or styles that take away attention from your arms to other part. 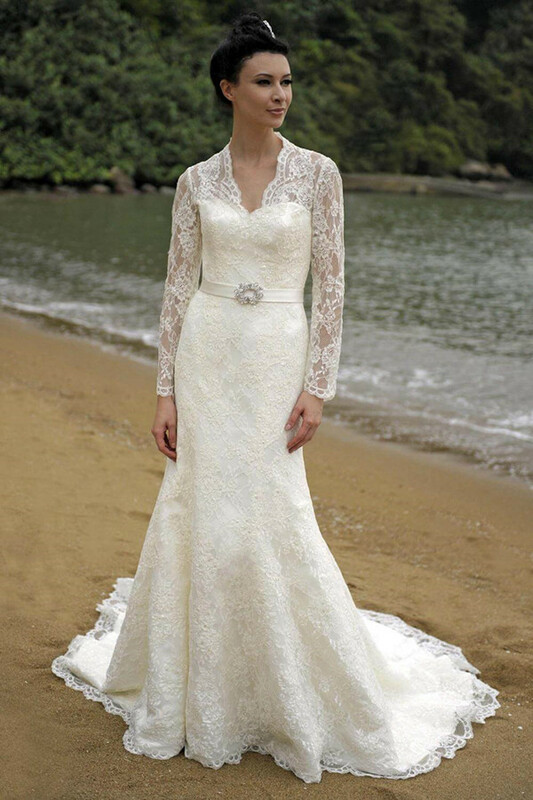 Wearing a long sleeved wedding dress does not necessarily equal covering up a problem; it is also a style in itself. 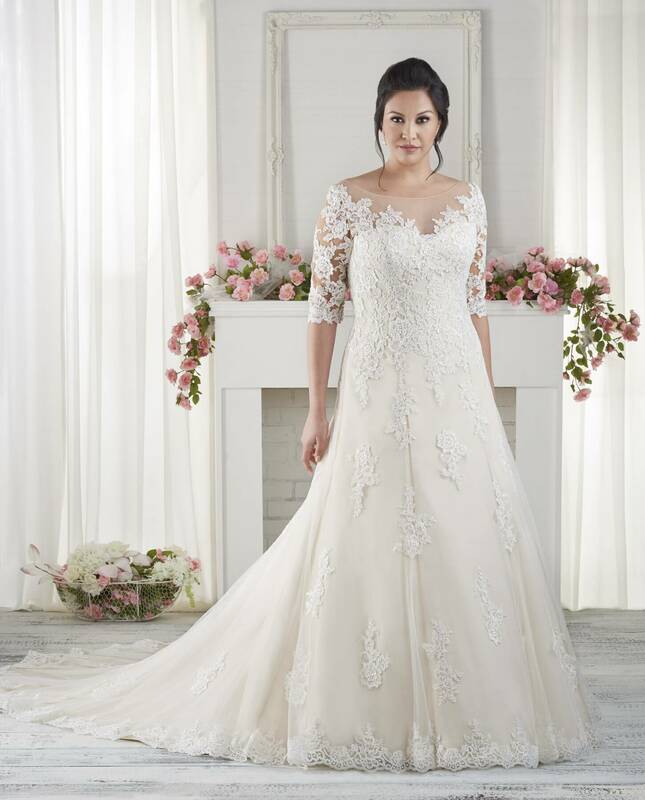 With long sleeves, it’s a win-win situation; you will be able to cover up your arms, while rocking a classic vintage style gown that will have people talking. 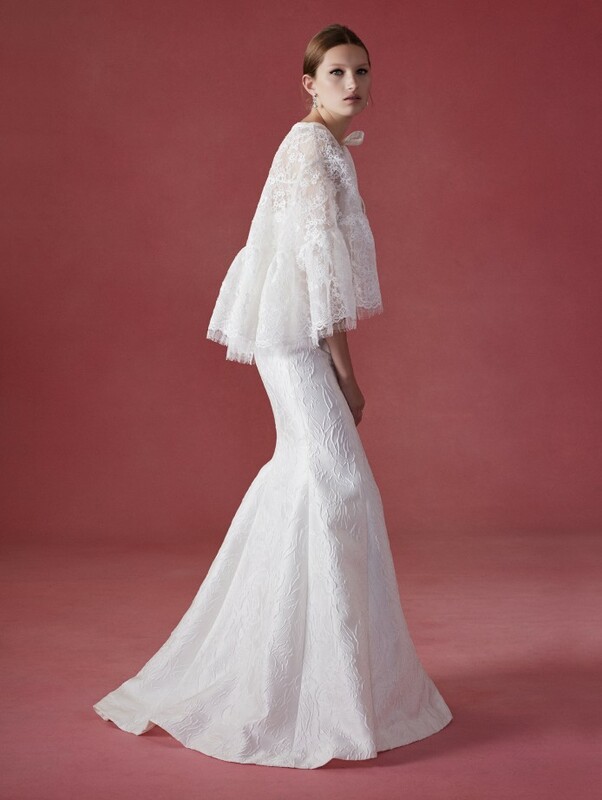 Go for sheer sleeves to ensure there are no added bulk; sheer is stylish and you can add a bit of details for a beautiful finish. Now, when it comes to sleeves you have quite a lot of options. 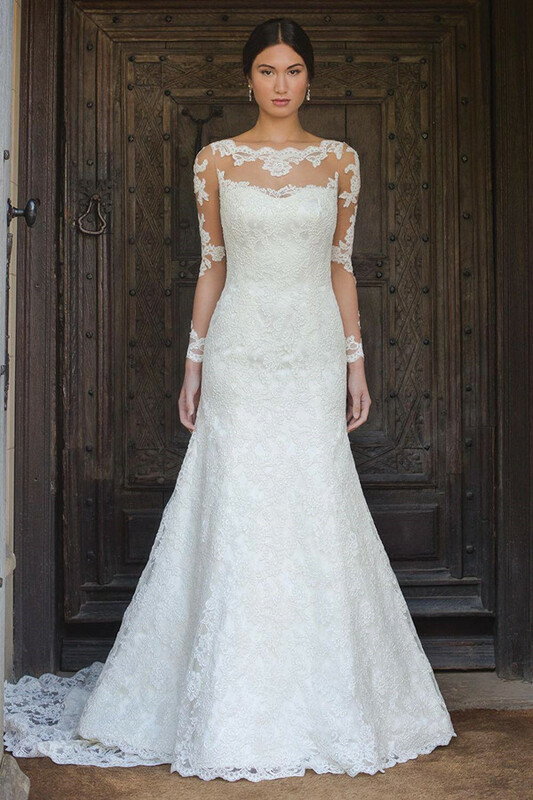 If you don’t want the full length sleeves, you can opt for elbow length sleeves that also look very flattering and beautiful. You can show a bit of skin on your back, with a v-neck if you are comfortable. Otherwise there are numerous designs to choose from. 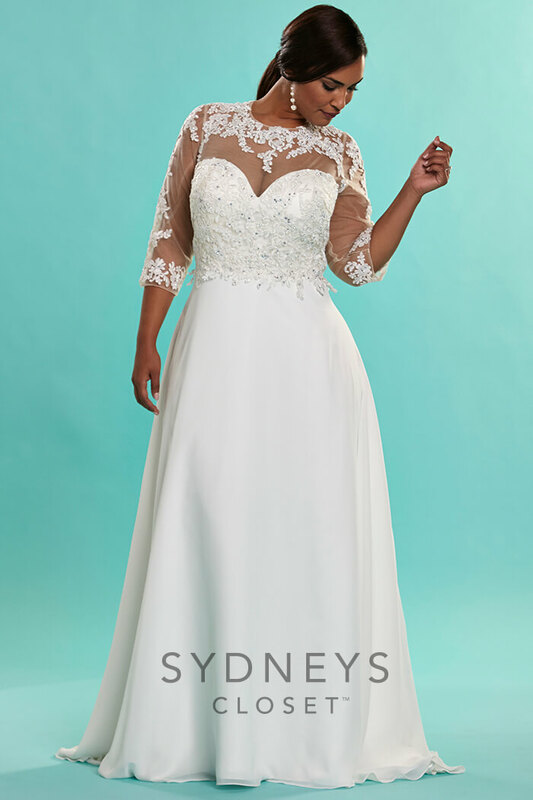 This option is one of the most flattering wedding dresses for fat arms that look intentional and beautiful. 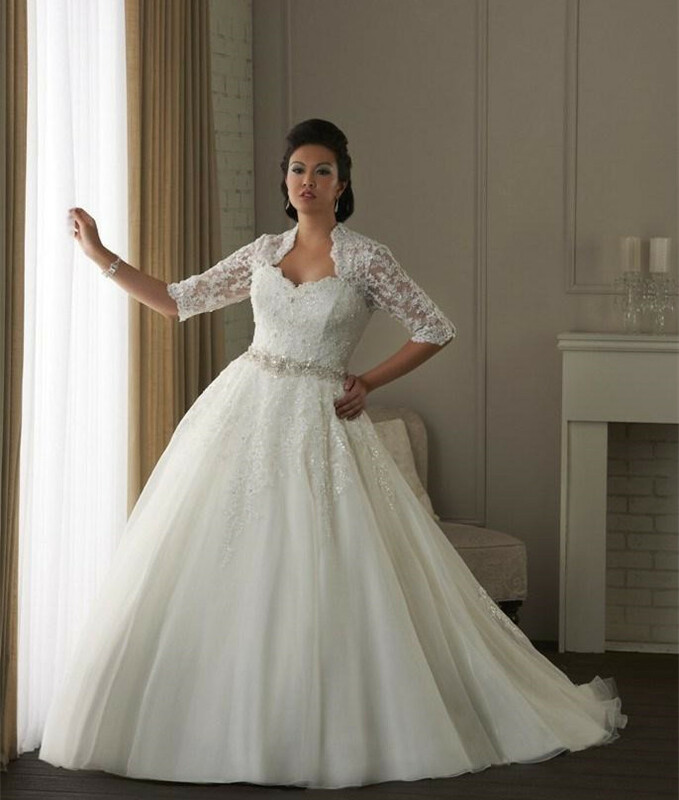 When you go shopping for wedding dresses, the most eye catching gowns are usually sleeveless or strapless. 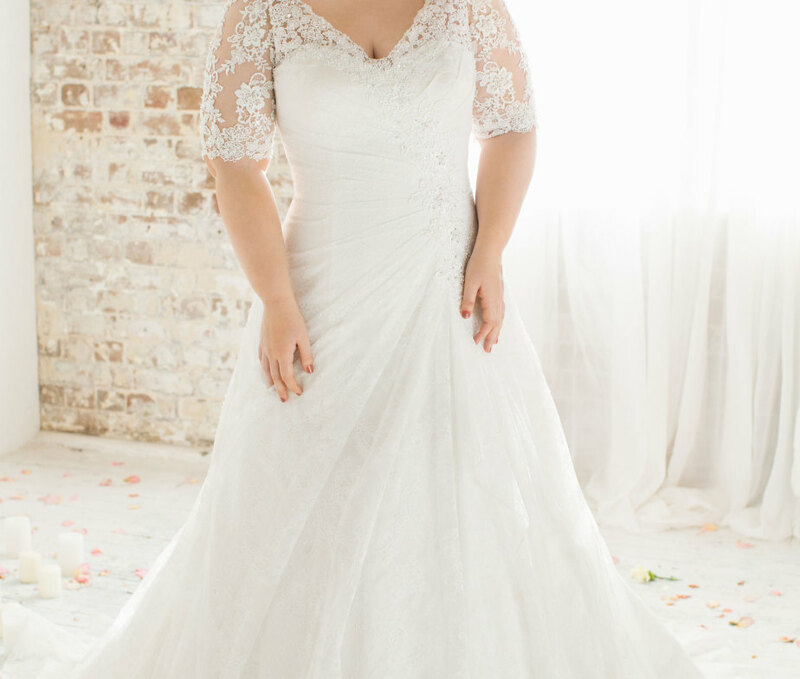 There is a notion that these are not wedding dresses for fat arms; well, that doesn’t have to be so. 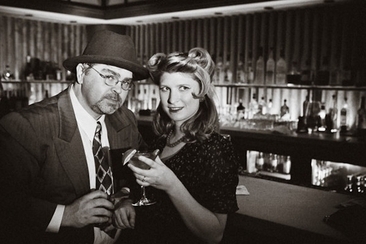 You can pull off a strapless/sleeveless gown with the help of a bolero. Boleros are great because when you finally feel comfortable you can always remove them. 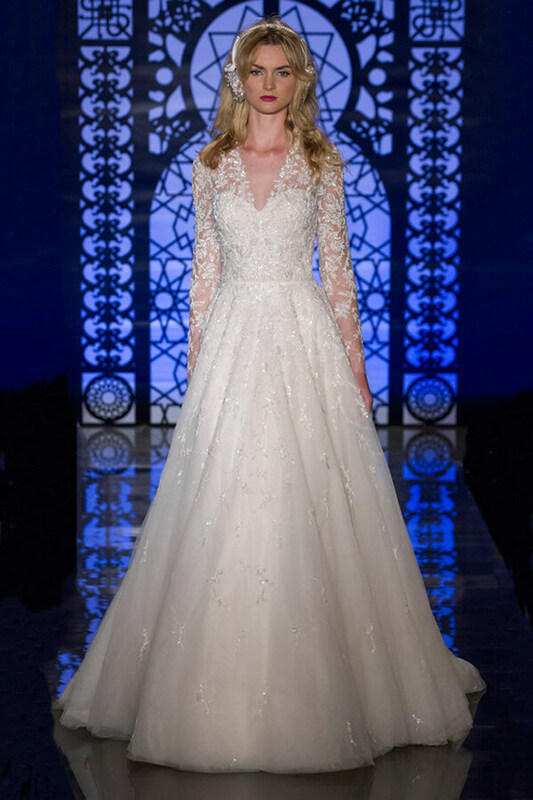 You can also wear a sleeveless dress with a long veil that is big enough to cover part of your arm. This will help you hide your arms without looking like you are trying to. Okay, if you are trying to hide your arms, then maybe this might not feel very comfortable. 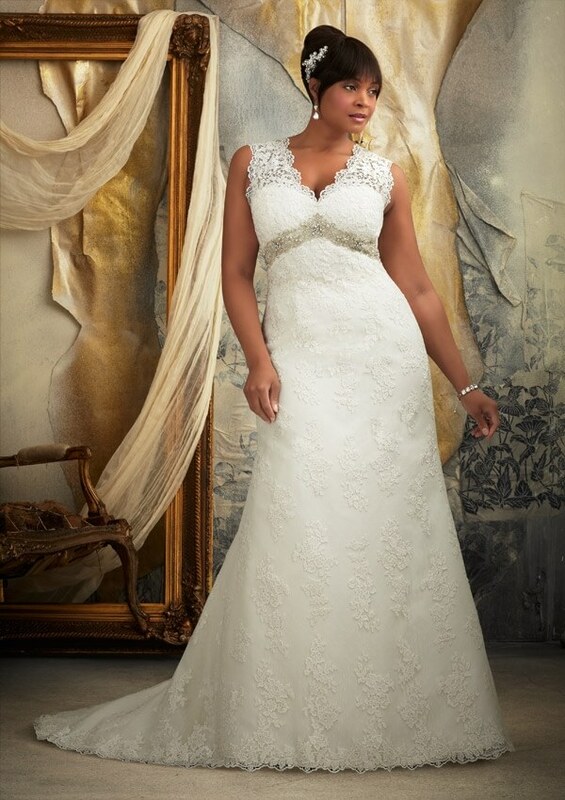 There are however many brides who have pulled off sleeveless wedding dresses for fat arms in a gorgeous way. All you need to do is concentrate the attention on your best assets and use eye-catching accessories. Use the best fitting undergarments to ensure there are no bulges on the side; which can easily draw attention to your arms. Wear confidence and use the right posture and poses that make your arms less thick. 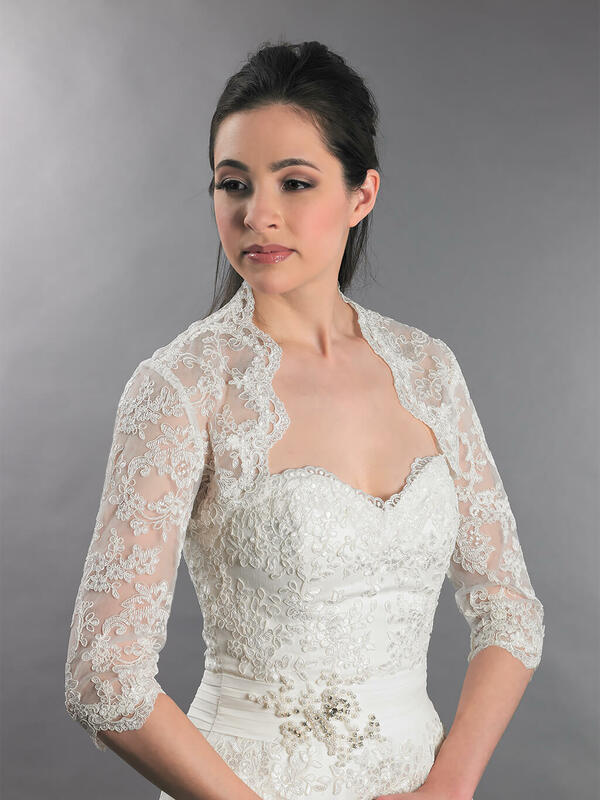 When you are cautious about your fat arms, there are some kinds of wedding dresses you should stay away from: these are dresses that highlight your upper arms. The short cap sleeves fall right on the upper arm, making them look wider or rather larger. This is especially when the cap sleeves are tightly fitted; they will work against you instead of for you. Short cap sleeves are not recommended. Off shoulder styles are completely to be avoided; they literally draw all the attention to your upper arms. 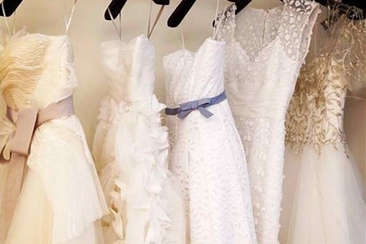 These kinds of dresses will also broaden you shoulders and make your upper body look bigger. Are you a white girl looking for the most suitable hair extensions? Yes, you can have them too. Here is all that you should know about hair extensions for white girls. Check our bride and groom entrance songs hip hop playlist to find some up-tempo musics for setting the perfect tone in your reception party by playing them.